In each download you get a few songs, a story, a little bit of funny and a little bit of earnest. You know, a variety. 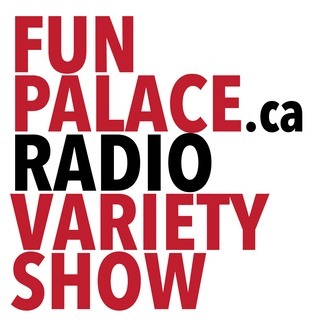 The Fun Palace Radio Variety Shoe brings you music of the uncommon, beautiful sort; a mix of new, old, and future stories with the Fun Palace Players; questions in the dark; and special visits from special guests. The podcast is hosted by Cedric Littlewood, who is slowly discovering why. A perfect variety for your various things. Like commuting, dishes or whenever else you want to escape to the Fun Palace. A podcast and a live event. FP09 - When can babies have water? On this episode of The Fun Palace Radio Variety Show: Music from Jonathan Adjemian, Anand Rajaram and Thom Gill, recorded improvisation from the Sufferettes and the concluding chapter of The Mysterious Death of W.B. 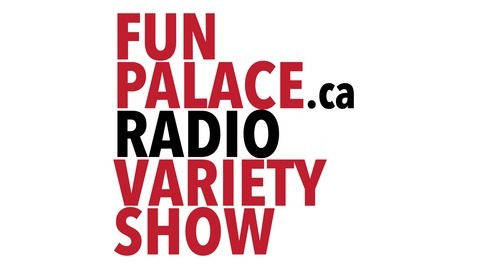 Find the Fun Palace Radio Variety Show podcast on the internet. Space Riders, the webseries turned CTV streamer that they’re in. The concluding chapter of the saga. You may remember, not-so-retired private detective Gabriel Novus was following philosopher Walter Benjamin and his briefcase across Europe. Benjamin remains dead, but a slow-talking judge was just about to hand Novus the late writers briefcase - what will be inside? Fun Palace Players: Susanna Fournier, Chris Stanton, Becky Johnson, and Jacob Zimmer, with sound design & mixing by Richard Feren, and musical director Jonathan Adjemian. Directed by Chris Earle. Fun Palace Players: Susanna Fournier, Brendan Gall, Becky Johnson, and Jacob Zimmer, with sound design & mixing by Richard Feren, and musical director Jonathan Adjemian. Directed by Chris Earle.